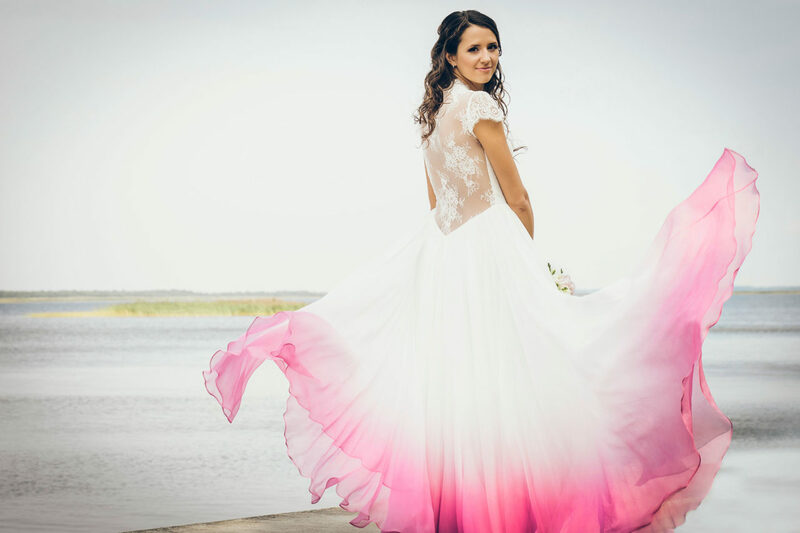 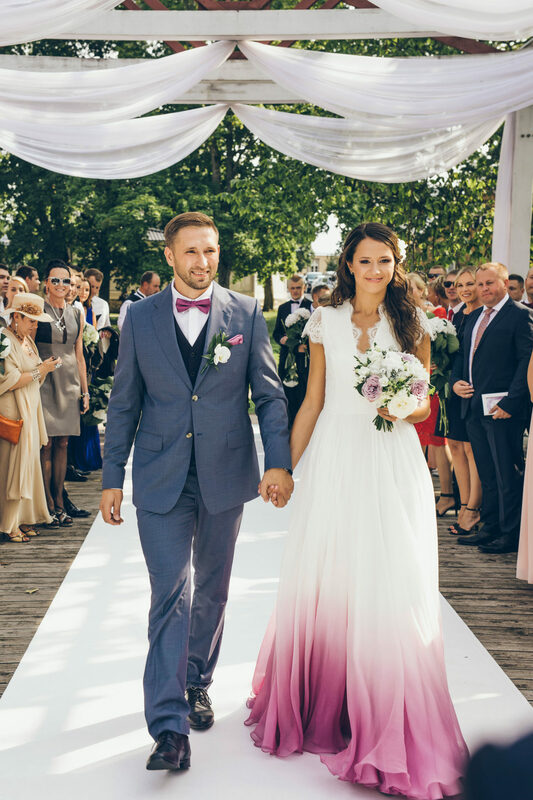 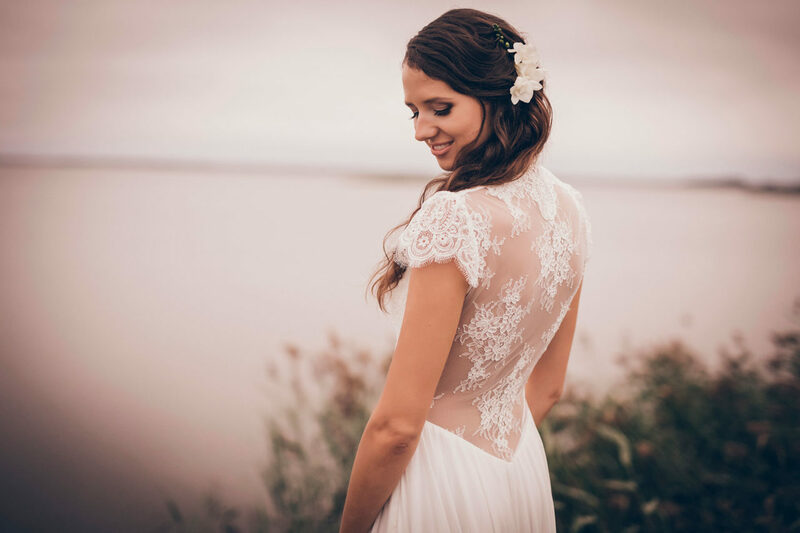 Colour and modern femininity are in focus of this gown for the beautiful bride Tiina. 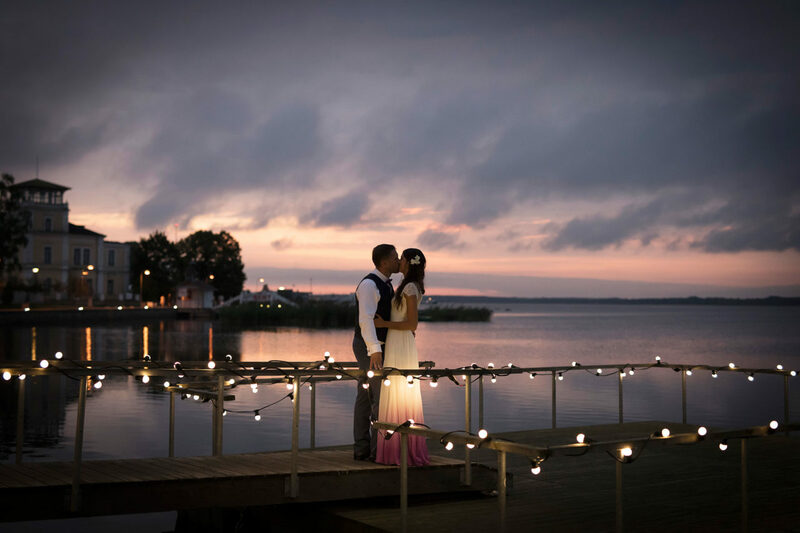 The resort town of the wedding’s location is known for its very special light, making the delicate ombré shading the perfect focal point of the design. 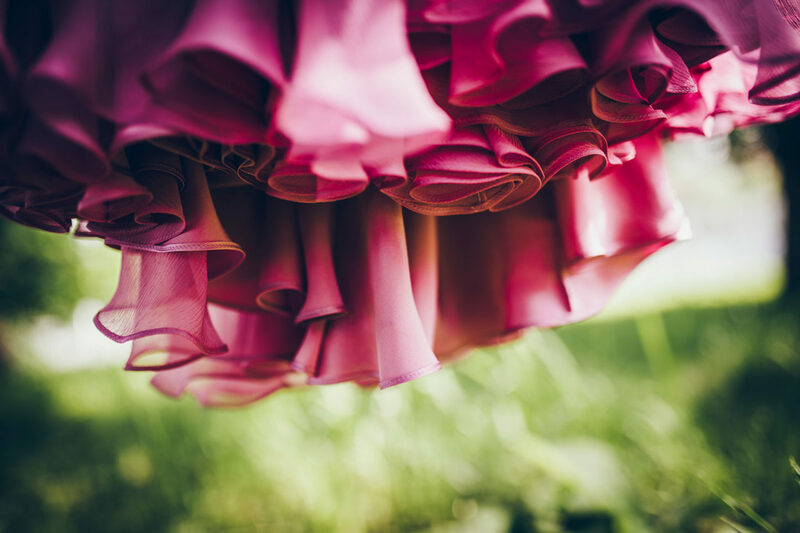 Fully hand-dyed and delicately crafted from the finest Italian silk crinkle chiffon and corded lace, it is a masterpiece of truly unforgettable quality. 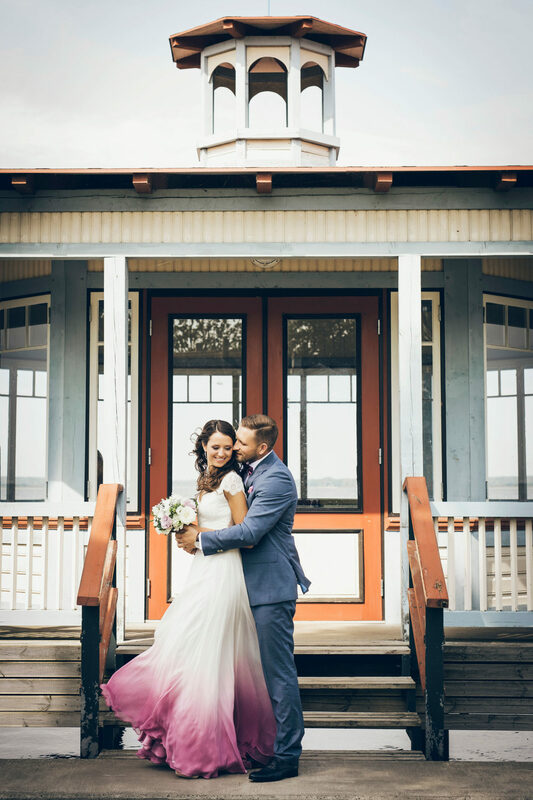 Groom’s styling by Merit Boeijkens.